On Monday, I was on a panel at the Royal Society of Arts about racism within the LGBT+ community. The other speakers and I were given the opportunity to talk freely, before taking part in a Q&A session. I didn’t want to waffle so cut straight to answering the four questions provided to the panelists and audience before the event. I spoke about the stereotypes from some white LGBT people, when black and Asian people are mentioned. In fact, I shared a recently received message to myself which said “never been with a black man, head full of stereotypes, just so scared”. This kind of stereotyping, widespread within the LGBT community. I too don’t prescribe to what I call the “preference malarkey”, when some white LGBT people say they’re not into black or Asian people. It is one thing to not like something, but another to publicly declare your disgust for an entire race – together with the fetishes of black and Asian people. I also spoke about the fact visibility of Black, Asian, and Minority Ethnic role models is almost non-existent within LGBT+ communities, and that there is much tokenism. Citing a recent story from a young black gay man who after not being welcome within the LGBT community said “stuff ’em”, I commented that now is the time for LGBT People of Colour to start creating their own voices in stead of trying to penetrate the mainstream LGBT community – UK Black Pride, BlackOut UK and others, have led the way with this. The third point I covered was after the double-question, ‘Is mainstream media to blame or is racism really rife in LGBT+ communities in the UK? 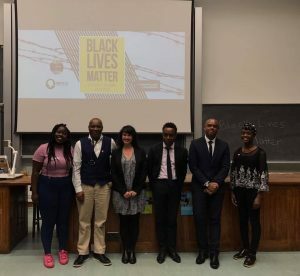 Do these communities refuse to promote BAME role models?’ I was clear that the phrasing of the first question undermined the reality for black people outside of the event, living in the real world. Equally, I said it wasn’t just the mainstream media but LGBT media too that refused to promote the narrative of black and brown voices – why, they needed to create their own. I finished with speaking about depression among LGBT People of Colour due to racism. I raised the point, can you imagine what’s it’s like to face racism in the wider society and within the community you are meant to be a part of – like gay black men being stopped and searched by the police, not because they are gay but black. The latter just one issue, and we ask “does racism play its part in depression?” – yes. After I had spoken, one of the other panelists said whilst she didn’t disagree with what I said, she didn’t like the language I used. This got me thinking whilst she spoke, then coming back to her. For me, one of the reasons we are in the mess we are in respect of racism is because we not communicating properly. We are not talking in a language that is direct albeit blunt, forgetting the soundbites and rhetoric. 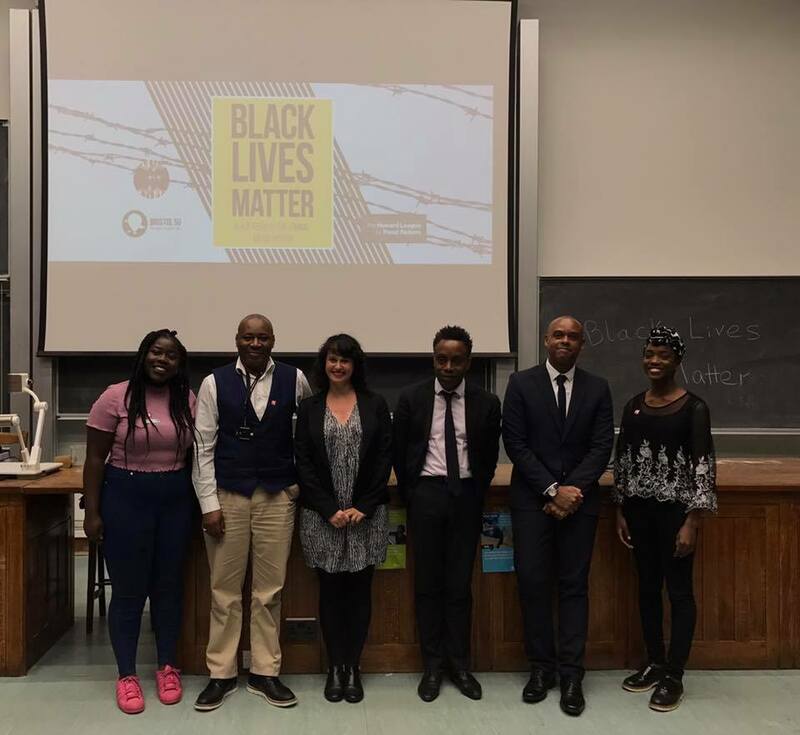 On Thursday in complete contrast to Monday, I was invited to speak along with others at the University of Bristol during their Black Lives Matter awareness week. I was taken aback by not only how the other panelists got it when it came to institutional racism which impedes a forward-thinking democratic society, but how the young men and women students sat in front of me were so woke. I tweeted after the event, if only all those years ago I had been as socially aware as they are – things might have turned out different. I guess what I’m saying is that speaking our mind is important especially in a society in which we can do this freely to an extent, but it does come with a responsibility. Not just for what we say and the impact it can have on others, but also for what we don’t say. How can we change things if we don’t make clear what we mean, like our aims and motives? It’s my view that being wishy-washy gets us nowhere!